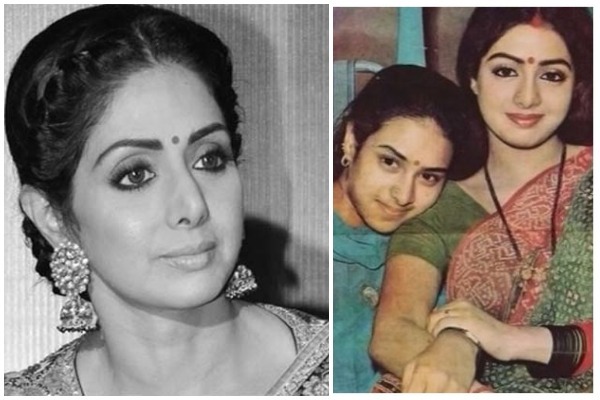 What Is The Reason Behind Sridevi’s Sister Srilatha’s Silence Over Her Sister’s Death? The death of Bollywood’s most gorgeous actress, Sridevi on February 24 in Dubai came as a shocker to the entire country. While the post-mortem reported suggested accidental drowning as the cause of death, speculations about the cause of her death started doing rounds on social media and in news. The Kapoor family had then issued a public statement after her demise and requested everyone to stop speculating let the family get over the major loss. However, it was quite strange to know that Sridevi’s sister Srilatha continued to remain tight-lipped over actress’ death. Apparently, Srilatha has been asked to keep mum over Sridevi’s death for a reason. According to reports, Srilatha and her husband Satish will be given ownership of Sridevi’s bungalow in Chennai. “Srilatha has been asked to remain quiet and out of the picture. We don’t know why. We’ve also heard that Srilatha and her husband Satish will be given ownership of Sridevi’s bungalow in Chennai,” a source close to the Kapoor family told a leading daily. The report further suggests that the properties that bought from Sridevi’s earnings and registered in the name of her parents for the purpose of tax savings will be now given to actress’ sister. To people who don’t know, Sridevi and her sister Srilatha once shared a very close bond with each other. However, their relationship turned bitter due to a property dispute in the 1990s. They patched up in 2013, when Sridevi was awarded the Padma Shri. Previous : Shah Rukh Khan’s Daughter Suhana Khan Bags Her First Project As Cover Girl For Magazine!